Some sites, including the 11 widest waterfalls in the world, are known purely for their vastness. The 11 Largest Desserts in the World is one example. But it’s no surprise because hugeness in creation can be awe-inspiring. It must be since the Conservation Institute reports that Niagara Falls receives 14 to 20 million annual visitors. And that waterfall didn’t even make it on our list. If the wideness of waterfalls is any indication of their popularity, the tourist rate for the falls we included must be staggering. Most of these falls are also so large that they scrape the borders of two different states or countries. Waterfalls can be found all over the world, though the widest ones are found mostly in Brazil. 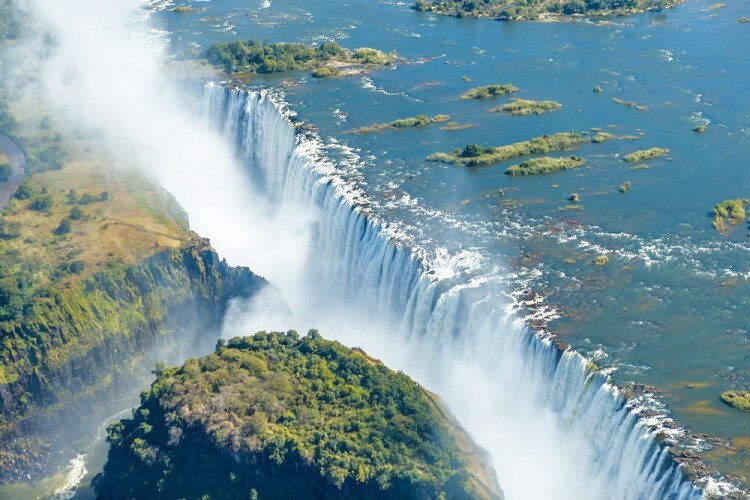 Two of our 11 widest waterfalls in the world are located in Africa, one in the US, one in Canada, 6 in South America, including 5 in Brazil, and one in Southeast Asia. There’s another disclaimer, too. This list includes three waterfalls which have since been either totally or partly covered by dams. Sadly, this is a common fate for wide waterfalls, but some are still visible in parts, which is why they’re included. Take a raft ride down the list of 11 Widest Waterfalls in the World, and be sure not to fall off on the way.